Truckers face increasing difficulty in obtaining chassis at the port of New York and New Jersey, as well as other locations. This situation is created by the current system of how truckers drop off and pick up chassis as well as an overall shortage of the equipment that beset the ports in 2014 and 2015. The current system began when shipping companies began to exit the business of leasing chassis and the leasing companies took over. 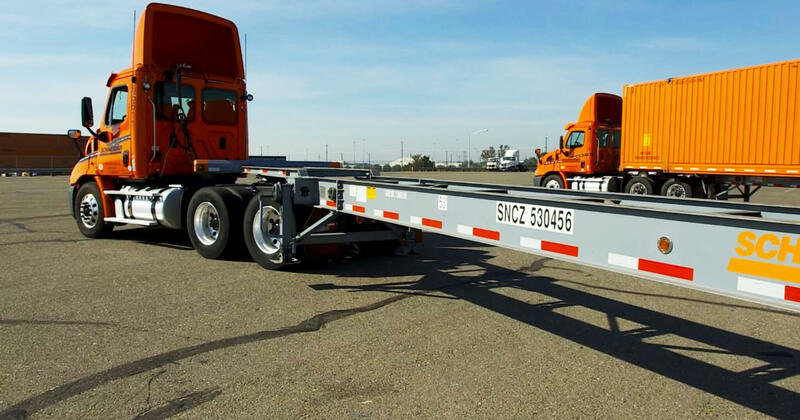 Now truckers often have to pick up and drop off chassis from the terminal served by the leasing company rather than the terminal where the container is being dropped off or picked up. This not only causes congestion but also a decrease in the time the trucker could be driving. The port problems of 2014 and 2015 were blamed on a shortage of chassis and technician and “hoarding” by trucking companies. which would merge the chassis population at the NY- NJ port into a “pool” that truckers could freely use, the refusal of equipment providers to sign a labor contract with the International Longshoremen’s Association stalled this solution for two years. A similar arrangement has been launched in Los Angeles-Long Beach, where separate “pools” cooperate to form larger “pools” from which chassis can be freely exchanged. More and more trucking companies have been buying chassis to deal with the problem. By buying their own chassis, truckers have found that the maintenance costs are less for them because they can use their own in-house technicians. Chassis now have standard equipment like LED lights, GPS tracking, radial tires and automatic inflation system – making them more attractive as a company asset. “Years ago, you went to the terminal and you dropped off a container and a chassis. Today, you drop the container off in one place and you bring the chassis to another. So the drivers have to use up a couple of hours.” Chuck Conners President of H&M International Transportation of Woodbridge, N.J.